For individuals in custody who require private video conferencing with attorneys, judges, mental health professionals and family. Secure tamper proof design ideal for corrections and rehabilitation facilities, state and federal prisons and jails. Innovative modular design allows uncomplicated and fast installation by end-user. Seismic and "A" fire rating compliant. Video electronics cabinet is compatible with standard computer hardware and peripherals as well as Telepresence and other video communication technology platforms. 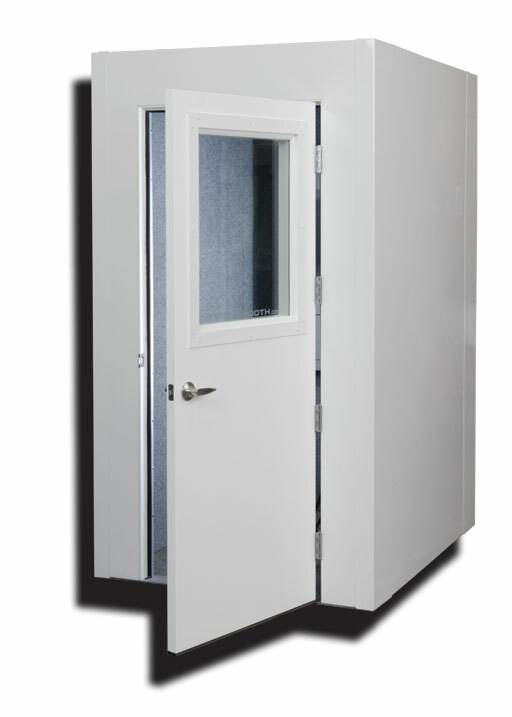 Optional 1/2" thick non-breakable polycarbonate windows: 3'x3'side window and 1'x2' and 2'x2.5' door windows. Optional standard exterior colors include: white, cream, gray and black. Optional standard interior fabric colors include: gray, black and chestnut. Final electrical connections by your electrician required.